Well, staying under 500MB of mobile data has done a lot of hobbling to what I can do blogwise, let alone wade into the tweeterverses. 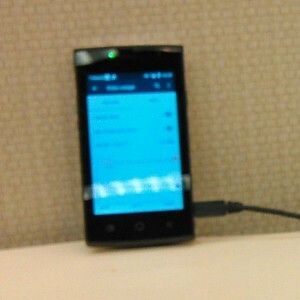 So I went out and got this cheapo phone from T-Mobile Prepaid to put their $30 5GB/mo offering to the test. Actually, the claim is “unlimited” data, throttled after 5GB, but come on, this is wireless, that’s lie number one in this industry. Just messing around here and there so far, the data is not all that lickety-split. Full bars of 4G, so so the thing claims (It’s a Coolpad Rogue), but the data only trickles in, even for T-Mobile internal sites. Yeah, it’s Houston rush hour out there, but I just get this big whiff of throttle coming off my tethering test (I’m not even trying to actually download anything, it’s artificial pain at the level where it’s making me regret no-graphics pageloads). I already know that T-Mobile’s DNS servers are twigged, they can’t even find my website! I’m wary of John Legere’s feud with the EFF, among other things, but Project Fi requires a double-jointed Google handset well beyond my budget. The other darling of the industry is ting. If they were competing in 2016 and not 2012, I wouldn’t be having this problem in the first place! Hey ting, I’ll come back to your data offerings when you have a 5GB GSM tier that costs $24. 5GB of data is not a huge number, but it’s enough to work with. It’s enough to do what I need to do. Plus, as an experiment, I might actually try out more of these crazy cell phone apps that people use to stay in touch. This entry was posted in Maker Tour 2015 by j5mc. Bookmark the permalink.